My Child is Being Bullied Online Anonymously. What should I do? The growth of social networks over the past ten years has provided opportunities for people across the globe to connect with one another. However, it has also presented problems, and many of the social issues that confronted us offline have now made their way online. One such online problem is cyberbullying. 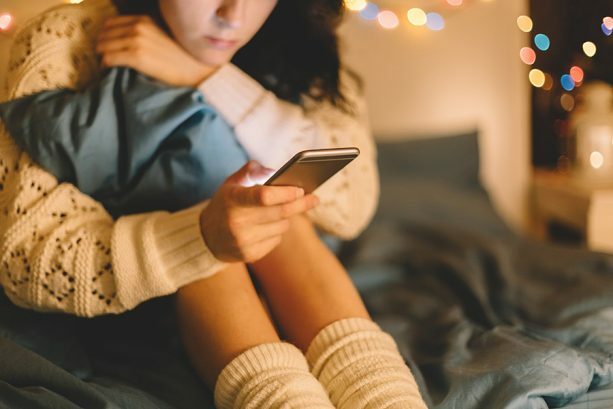 Anonymous cyberbullying occurs when the author of offensive remarks remains unknown, hiding behind fake profiles, pseudonyms or using anonymous features provided by social media services. Anonymous online communication indeed offers meaningful benefits. One such benefit is the ability to manage your digital footprint better. It means that teenagers can speak their minds without needing to worry about how what they say might undermine their future, for example, when applying for college or a job. The privacy afforded by anonymous online communication also allows young people to protect their real identities while seeking support. Whether they are asking anonymous questions on social networks, like ASKfm, or getting advice from various support groups, like the Diana Award, teens need not feel uncomfortable asking questions. However, anonymity as a function can also be misused. It allows people to sever the link between their actions and the consequences. Thus, some people use anonymity to be hurtful and cruel, to share humiliating pictures, spread rumors, create fake profiles, threaten or blackmail others. All of these may have detrimental effects on the development of the young people who experience them, especially if they are already vulnerable, less resilient than others or going through difficulties in their lives. The rapid rise of social networks and mobile applications can leave parents feeling lost and unsure about what action to take. This help sheet provides more background to online behaviors and anonymity, as well as suggesting the steps you can take to make a difference if your child is currently being cyberbullied anonymously, and ways to help prevent it in the future. If your child tells you he is being bullied, acknowledge that he did the right thing in coming to talk to you. It takes a lot of courage for a child to tell someone that he is being bullied, but it is the first step in solving the problem. Try to remain calm and let your child know that you will help him sort things out. Listen and take the matter seriously. Young people who have been bullied have said that what helped them most was having someone to listen to their problems without judgement. It is important that you hear all that your child has to say before you take action and that your child feel comfortable with you supporting him. If a young person has been bullied by someone he does not know, it is likely that his confidence and self-esteem has suffered. You can start rebuilding this straight away by encouraging your child to talk about what he wants to have happen. Giving back control can also help build resilience and allow your child to turn an otherwise difficult situation into something positive. Start with “Let’s see what we can do about this together”. These days, technology and social networks form the very foundation of how young people relate and communicate with their peers, so the solution is not as simple as telling them to turn off their telephones. Recent research has suggested that 4 out of 5 young people believe digital technology plays a positive role in their relationships. Fear of losing these opportunities can discourage young people from speaking out. Your child should not reply immediately if he receives hurtful messages online. Often, bullies are looking to get a reaction out of their victims, thus retaliating can create a cycle of negativity. Rather, your child should tell someone he trusts straight away – so encourage him to come and speak to you about it as soon as any bullying happens. This is important if the bullying escalates further. You can do this easily by taking a screen shot of the abusive communication. If you are not sure how to do this, it might be a great opportunity to get your child to show you how and to help rebuild his confidence. If he does show you, make sure you vocally praise you child for it. There is always a way for your child to stop the bully from contacting him. Look for the block buttons on the social network or service your child is using or consult the help pages to find out how. All social networks should have a function allowing you to report abuse. While bullies may be anonymous to you, social networks can track their users through IP addresses and other tools. Their accounts can be blocked and deactivated if necessary. Try and get your child to do this with you so he will be aware of what steps to take should he be bullied again in the future. On some social networks that offer an anonymity feature, like ASKfm, the ability to engage anonymously can be switched off. This is a useful way of decreasing the likelihood of your child encountering negative content while at the same time being able to engage in communication with their friends on the platform. Information on how to do this can normally be found on the platform’s FAQ section. On ASKfm, it can be found in the settings menu on the users’ profile page. If you believe that your child is being bullied by pupils from his school, then get in touch with the school authorities. Schools have a legal responsibility to act, even if bullying takes place online, and they will be able to offer support and guidance. In cases where the bullying is anonymous, they may not be able to identify the people doing the bullying, but they will be able to support your child during the school day and make sure that he feels safe. If you feel that the school is not able to take action the way you wish, and you have followed every other step, then you might consider contacting the police. Police forces are becoming increasingly aware and effective in taking action. Therefore, if you feel that the bullying that your child is suffering is particularly serious, do not be afraid to get in touch with the police. There are several ways to minimize the risk of cyberbullying before it even happens. Encourage your child to come and speak to you if he is concerned. The internet is constantly changing, and new social networks are popping up all the time. While it may be easy to dismiss your child and conclude that you cannot get through to him, it is very important to keep engaging with your child about social networks throughout his teens. If you can engage with your child about the social networks he is on, he is far more likely to be open with you about his experiences and allow you to provide the support he needs. It also means that you can familiarize yourself with the safety features on the individual networks so you can offer advice if your child needs it. Go through social network privacy controls together and encourage him to maximize his safety and privacy. Social networks will usually allow you set up your account so that you accept messages from your friends only. More information on how best to support young people with such issues can be found at the websites below.